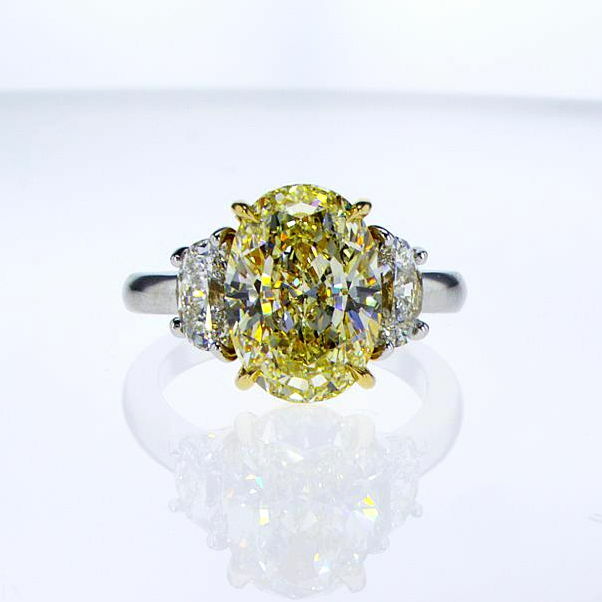 A magnificent and rare 5 carat yellow diamond ring! Center diamond is a top quality GIA certified 5.03 carat oval fancy light yellow diamond. It has excellent vs2 clarity grade, excellent polish, very good symmetry and no fluorescence. Mounted onto a platinum ring into a yellow gold cup that makes its yellow color look far stronger. On the sides you have two halfmoon white diamonds weighing another 1.30 carats. This ring has a total carat weight of 6.33 carats!